Gunfight in the Galiuros Questions remain about Arizona’s worst shoot-out—even outdoing the O.K. Corral gunfight. 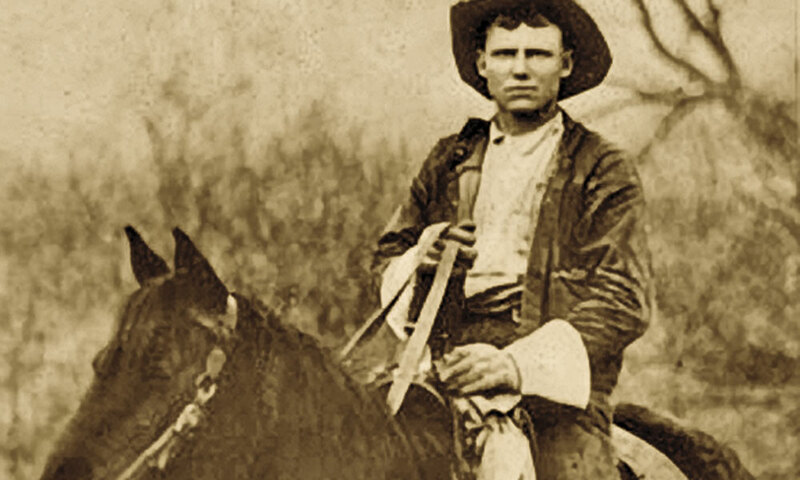 At of Old West gunfights were quick, bloody affairs that left more questions than answers as each side had its own version of events. The Powers shoot-out is one of those. 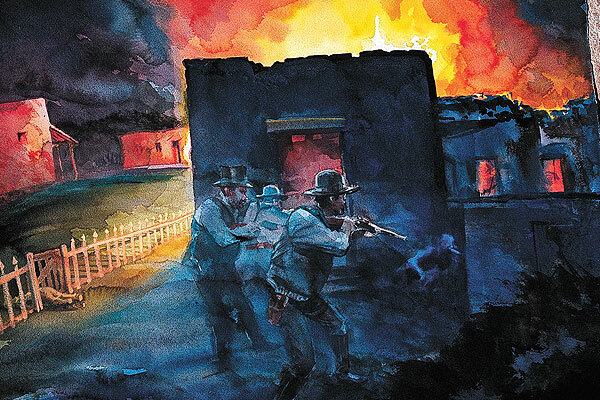 And it was bloody—the worst in Arizona history, even outdoing the legendary Gunfight Behind the O.K. Corral. In early 1918, the Powers men were working a gold mine in the remote Kielberg Canyon, located in the Galiuro Mountains of Graham County. Father Jeff, sons Tom and John, and hired man Tom Sisson lived in a shack on site. World War I was going on, and Tom and John were both of draft age. That’s where the stories diverge. The boys claimed they tried to register for the draft, but were turned away. The federal government claimed Jeff told his sons to avoid service. Either way, a posse went to the camp in February 1918, looking to arrest the alleged draft dodgers. Graham County Sheriff Frank McBride led Deputies Martin Kempton and Kane Wootan, and Deputy U.S. Marshal Frank Haynes as they took positions outside the cabin. As dawn broke on February 10, Jeff came to the cabin door, apparently attracted by a barking dog. The lawmen said they identified themselves and ordered the armed man to drop his gun. Someone inside started shooting at them. Tom and John claimed their father was unarmed and had his hands in the air when the lawmen—who didn’t identify themselves—opened fire, fatally wounding the elder Power in the chest. The fight quickly became general, and in the hail of bullets (about 25 total) McBride, Kempton and Wootan were killed. The Power sons were wounded; Sisson was untouched. 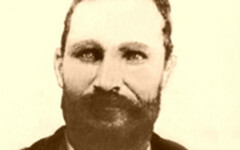 Deputy Haynes grabbed a horse and went for help while the three miners made their escape. In one of the largest manhunts in Arizona history, about 1,000 men searched for the fugitives. Posses traveled across the state and into New Mexico before a 12th U.S. Cavalry unit cornered the three miners in Mexico on March 8. The Power brothers and Sisson went on trial in May. They pleaded self-defense—but it was their word against that of Deputy Haynes, and locals didn’t exactly think highly of the men from Kielberg Canyon. Jeff’s dying declaration that he’d been gunned down while trying to surrender was not allowed into evidence at the trial. The jury convicted the three of first-degree murder on May 18. All were sentenced to serve life at the prison in Florence. Sisson died there in January 1957. Tom and John were paroled in 1960, and pardoned nine years later. Tom died in 1970, and John followed in 1976. For years, this bloody shoot-out was lost in the headlines of the world war. Maybe it was forgotten because it didn’t happen during the time of the Old West. The remoteness of the site, even today, undoubtedly was a factor. More are finally learning about it, thanks to Thomas Cobb’s excellent historical novel With Blood in Their Eyes and the Spur-winning documentary Power’s War. The Power boys’ time has finally come. Yet the answer to what happened that fateful day still lies in the quiet of the Galiuro Mountains. Did Paulita Maxwell bear Billy the Kid’s child? Paulita Maxwell was Billy the Kid’s favorite squeeze, and she was pregnant at the time he was killed, so she probably was carrying his baby. Billy’s Backyard Breakout Billy the Kid vs Peppin’s Posse How Did Alexander McSween Really Die?